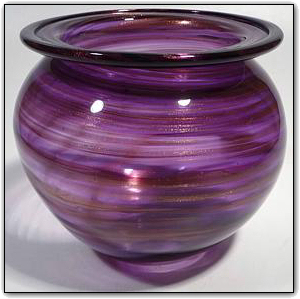 This elegant bowl features perfect form and many shades of lovely translucent purples. It is decorated with additional highlights of mahogany-like deep red and real gold adventurine sparkles were added for a real gold sparkle. Make sure to zoom in to see the richness. The more light you shine on this bowl... the more it sparkles!